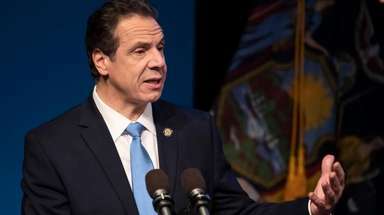 Albany's budget negotiators handed Mayor Bill de Blasio two vital tools late Monday that could help him turn around the city's struggling schools. One he likes and the other leaves him cold. But if wisely used, they could help our schools graduate more kids who are prepared to meet the challenge of college or careers. The first tool is a $300-million prekindergarten program for every 4-year-old in the city. Universal pre-K is a signature de Blasio idea, of course. But Albany smartly spread the program statewide -- squelching de Blasio's plan to pay for the city's program by taxing rich residents. The result is a broader program with stronger support. While de Blasio deserves his props for putting the idea on the table, he must hire 2,000 teachers and expand the program sharply -- to 73,000 seats -- between now and fall 2015. That's an ambitious timetable. But if he pulls it off, we should start to see a new generation of students entering first grade better prepared to learn and flourish. Then the task gets even tougher. The city must keep these kids engaged in their studies for the next 12 years. The state calculated last year that only 22 percent of New York City high school grads leave school ready for college or careers. Raising that rate will require extraordinary innovation. The second tool Albany approved on Monday night is a mandate telling the city to find space for the charters in public buildings or subsidize them as they rent private space -- an idea de Blasio hasn't liked. But if educational preparedness is his ultimate goal, this mandate could help. Many charters have been trailblazers when it comes to educating minority children from low-income areas. Their rigor, individual attention and impressive success can energize the larger system that's been running on close-to-empty. We hope de Blasio doesn't just tolerate charter schools -- as the state has ordered him to do -- but comes to view them as a key part of his mission. The mayor wants all kids to soar. So do we. The charters have lessons for us.